FREE DELIVERY TO UK ADDRESSES ON ORDERS OVER £65! The mini keg/growler is the ideal addition for any enthusiast. 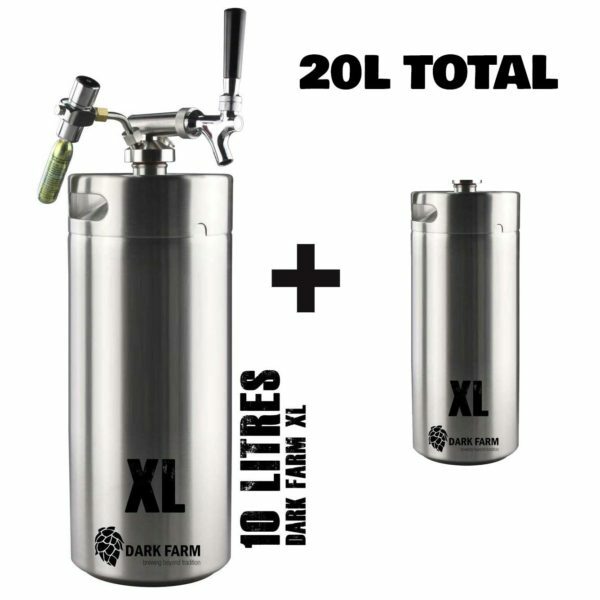 This set up has the capacity to hold 20L in TWO 10L mini keg/growler. This mini keg system can be used to enjoy a fine beverage at home or taken out on the move. For homebrewing the mini keg/growler can be used as the ideal storage for secondary fermentation as well as serving that perfect pint. 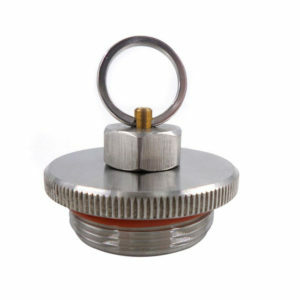 The easy to use CO2 dispenser will add bubbles to your brew. 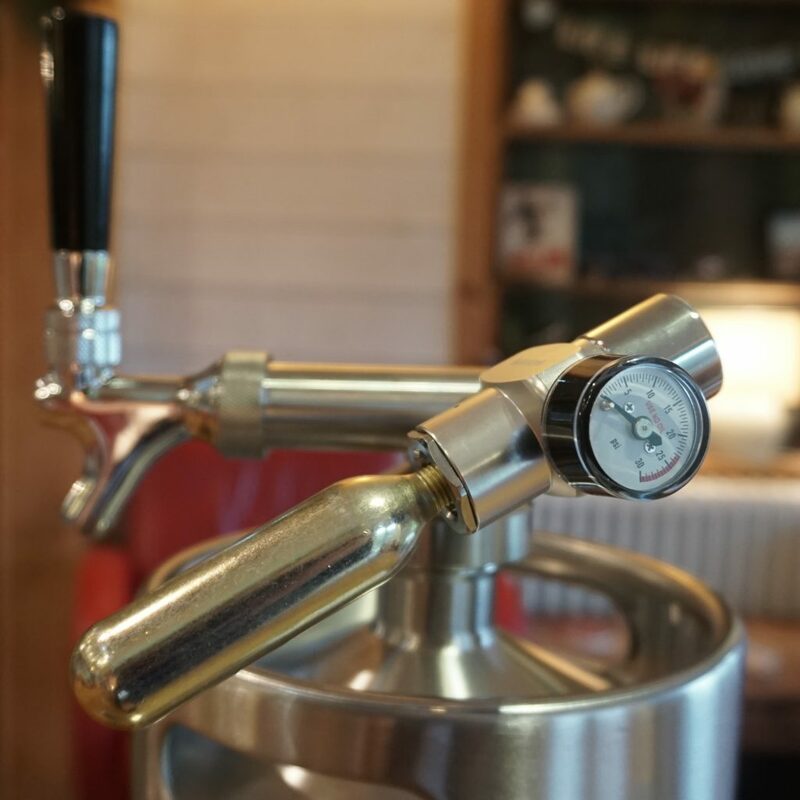 The mini keg will hold pressure and is adjustable so you can perfect that perfect pint using a force carbonated draft system. Want a discount? 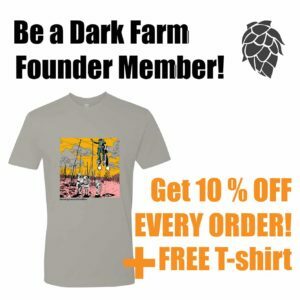 Become a member by purchasing 'Founder' Membership - 10% off ALL orders + FREE T-shirt! 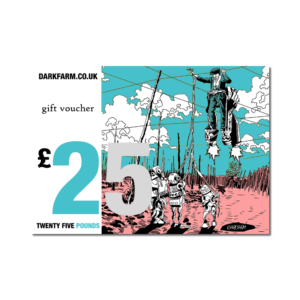 At Dark Farm we grow a variety of hops using organic methods. We love beer, and we love brewing our own beer with our own hops. This piece of kit is a great way to store beer and to serve it out to friends. Our hops are also available to buy from our website. This 10L beer growler/keg is made from quality stainless steel and the CO2 dispenser is fully constructed from metal. It is definitely not one of those cheaper plastic version you can get elsewhere online! 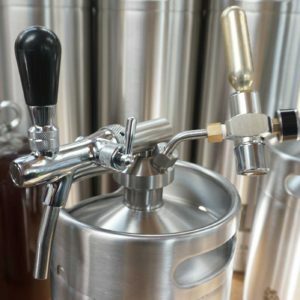 This beer growler/keg is the perfect addition to any homebrewer’s kit. It is also a great present for any beer lover. 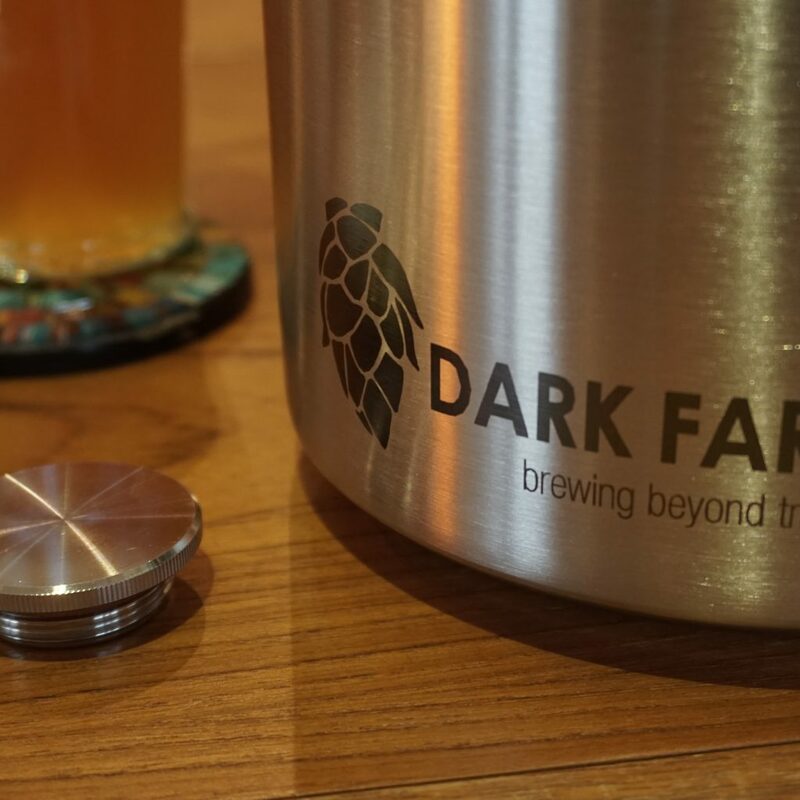 Using the Dark Farm mini keg allows you to skip the priming stage in homebrewing. 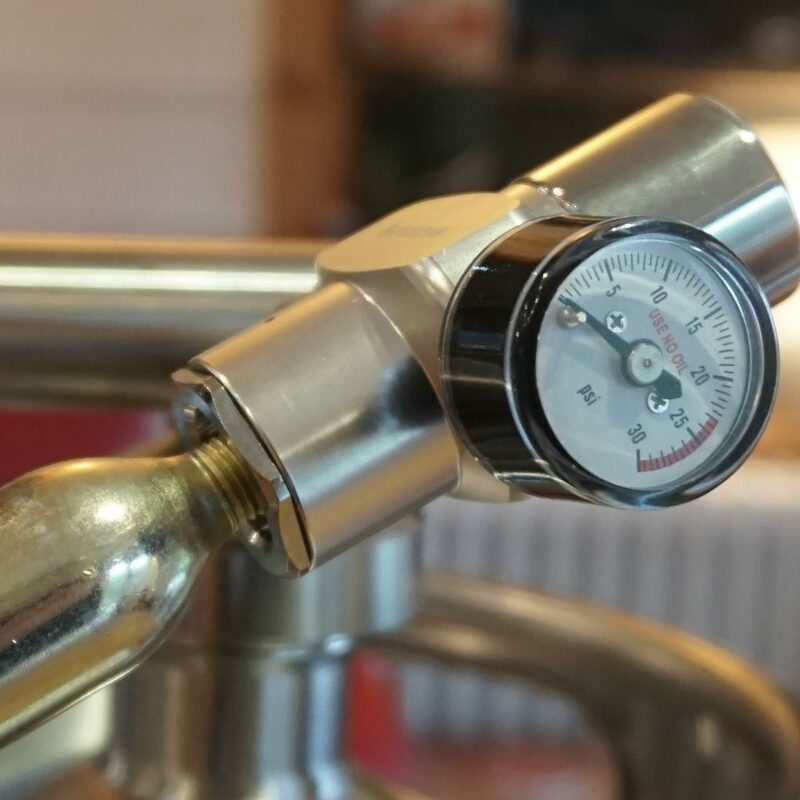 The CO2 valve will regulate the pressure within the mini keg keeping the level you set for weeks; allowing you to create that perfect balance of bubble to brew.